We have found that the best way to get community support for ABWK is to share our family stories of housing crises to housing stability. We try to understand what life was like before the housing crises, during the housing crises and the improvements felt after Habitat's/ABWK's work. We want to know what Habitat’s impact had to help create housing/family stability. How did you come to live in your home? How long have you lived in your home? Please tell us some interesting things about you and your family: what do you like to do together, what do your children like best about school, what are your favorite family traditions, etc? 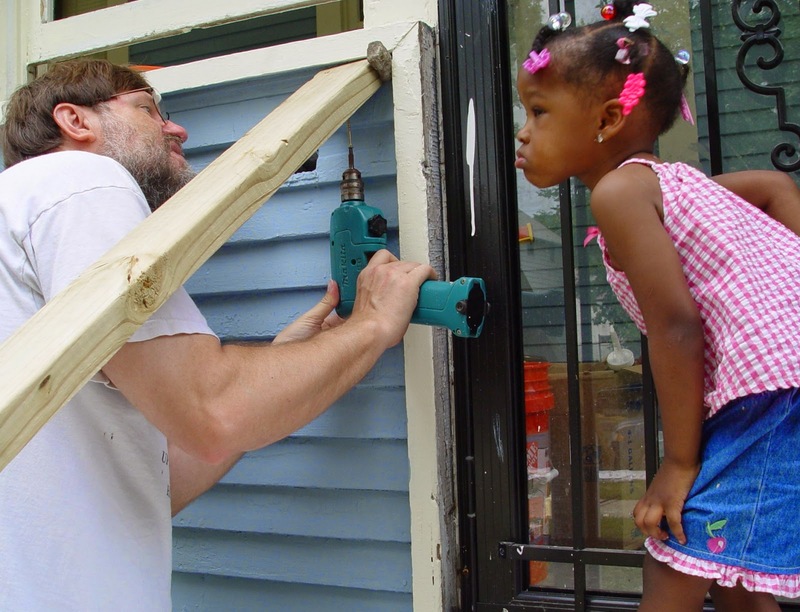 How did you learn about Twin Cities Habitat for Humanity or A Brush with Kindness? How did you feel when you found out you were chosen to receive assistance maintaining your home? What was your experience like working alongside volunteers and staff? What are the biggest hurdles you are currently facing and has A Brush with Kindness helped alleviate or minimize any of these issues? How did ABWK's work help in overcoming your families housing issue's and what is the impact for you today and for the future? What are your future plans, goals or dreams (family, education, work-related, recreation)? We also try to weave into the family story how Habitat brings together a variety of partners and resources (naming partners where appropriate) to be able to assist families.